﻿ First Response Plumbing Sewer and Drain Services Inc.First Response Plumbing Sewer and Drain Services Inc. Call Now! When you have plumbing problems, don’t hesitate to call us. At First Response Plumbing, there is no such thing as a small problem because we know it’s a big deal to you. Your health, safety and property value are at stake. Call now for dependable emergency service, installation and repairs. You have found a licensed, family-owned plumbing company that cares! There is no problem we can’t handle. Count on our solid recommendations from folks on Home Advisor.com, yelp.com, google plus, Facebook.com, Better Business Bureau and countless other sites to speak for us. We take pride in our work. What is your plumbing problem? Call for a reliable service at a great price. We take most major credit cards and will gladly work with your restoration company or insurance adjuster. 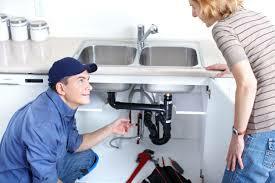 We are a residential and commercial plumber you can depend on for all diagnostics, repairs and installation. Don’t worry if you’ve tried plunging and fishing around with coat hangers to no avail. Our advanced equipment will break up hair, soap scum, grease and mineral deposits – even “lost” toys, feminine products and other stop-up causes. 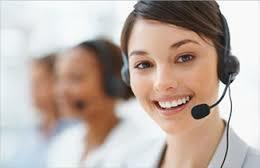 We do it quickly, correctly and completely. Depend on us to investigate clogged toilets from the bowl to the sewer line; we’ll take the toilet itself off of your floor if necessary. Our sewer cameras will look deep down inside pipes to spot sources of trouble. We can also replace your toilet with a new low-flow model. Clogged drains in sinks, showers and tubs will run again in a very short time when you’re dealing with the pros that have the right skills and equipment. While solids can get caught in the twist of pipes under sinks and toilets, the problem may actually be deeper. 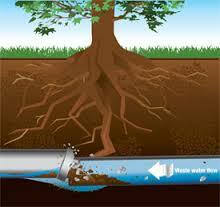 Older, thinner water and sewer lines can get damaged by shifts in the foundation and tree roots. Sometimes they degrade from age or improper materials or connections. In these cases, rest assured our sewer line repair is minimally invasive. Digging up large sections of the slab or yard is no longer inevitable. Our precision leak detection equipment saves you time, mess and money. Call now for 24-hour fast service. Waste water should go down the drain, through the lines and into the underground tank. If you pump and clean your tank on the schedule your installer recommends, everything should work perfectly, right? Not always! 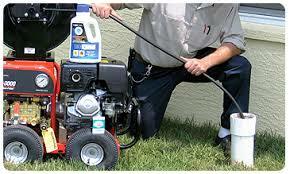 We can pump it out, unblock obstructions, fix faulty valves, and undo damage caused by harsh chemicals. While most clogged sewer pipes can be unclogged with a simple snaking. We offer sewer jetting. Sewer Jetting cleans the pipes to help prevent future backups. Some of the older homes here in Florida have old cast iron pipes that start to develop scaling on the walls of the pipe, which slows down the flow of water leaving your house. 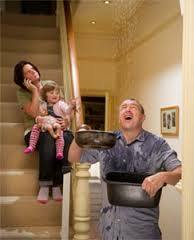 The sewer jetting flushes away most of the scales allowing the water to leave your home, without making any pit stops. These appliances only respond to so much fixing, and the average unit lasts just 7 to 12 years. If it’s in your garage or under your Air conditioner, humidity can cause rust and corrosion. Hard water minerals can build up fast. We can quickly replace your old one with a new, energy efficient model. Depending on your electrical or gas system and other factors, we may be able to install a tankless water heater variety for always on demand hot water. We are well-equipped to service all types of businesses and institutions including nursing homes, restaurants, schools, industrial buildings and retails stores. We know that every moment your sinks don’t work, your hot water runs out or your toilets won’t flush, you are losing revenue. Although these problems can happen to anyone, the inconvenience undermines your customers’ impressions. We will come to your rescue with the right tools and the right price. Are you building a new home, addition or facility? We can work with your contractors to do the connections. Do you need a new refrigerator, dishwasher or water heater? Call Now. We do LP gas hookups safely and dependably. When leaks spring up or the water starts rising, we know you can’t wait. Shut off your water valve, pick up the phone and call our complete plumbing services for fast, sure solutions. 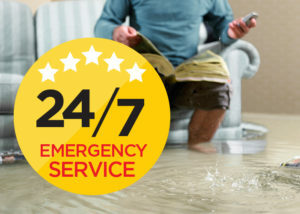 We are a licensed plumbing company offering 24-hour fast service in Fort Lauderdale, FL, Boca Raton and West Palm Beach. You have found a licensed, family owned plumbing company that cares! There is no problem we can’t handle. Count on our solid recommendations from Home Advisor, Angie’s List, Better Business Bureau, and YP.com. We are also certified is safe practices by the A.S.S.E.